Pellet grills are becoming a bigger deal every passing year – more and more companies are making them and creating new designs for grills that don’t use gas or charcoal at all. Camp Chef has their own design, and today we will be looking at their grill design, the PG24. 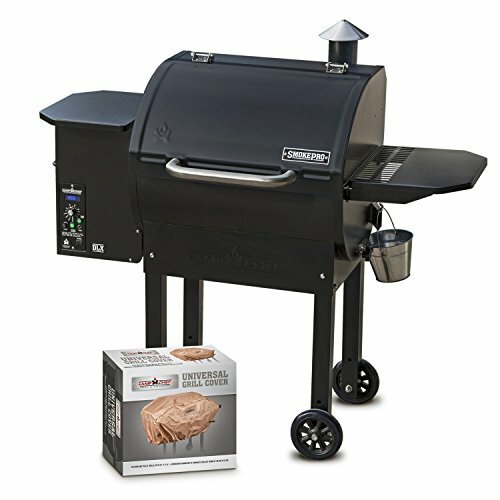 We will be reviewing the design of the product, taking a look at the pricing, unique features, customer reviews, comparisons to other grills, and more. It is also important to keep in mind how many people this product can feed and the amount of food you need to cook at once. We will be reviewing the size to ensure that it will work for you and your family – no matter how big or small. What is the Camp Chef PG24 and How Does it Work? What Makes the Camp Chef PG24 Unique? The Camp Chef PG24 is a grill and smoker that provides you with a reliable, easy smoke every time you use it. Everything about it is simply and easy to use – it has a practical digital temperature readout, and a simple temperature setting system. Because the grill uses pellets to fuel the heat rather than charcoal or gas, your food comes out with a hardwood, smoky flavor every time. The product has a cooking area of 429 square inches, a second cooking rack with an extra 141 square inches, and a hopper capacity of 18 pounds. You can cook between 160 and 500 degrees, which is about one hundred degrees higher than a lot of competitor grills like Traeger. Their system also includes an ash cleanout system for the pellet hopper, pellet purge system, grease management system, an electronic auto ignition, and a shutdown mode. We will get more into these individual features in the next section of the review. Here are some of the key features that Camp Chef offers for this particular grill. The first aspect of the Camp Chef PG24 that you don’t see on a lot of competitor’s designs is their Ash Cleanout system. This system allows you to simply pull a lever to empty all of the ash from the fire box instead of having to vacuum out the grill every time you cook on it. 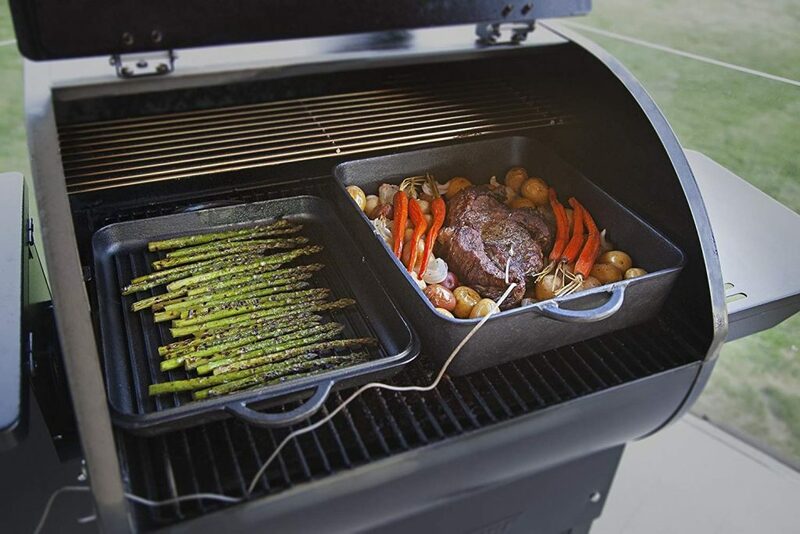 This is a fantastic feature to have for your grill – it is a common complaint of grill owners that their grills are incredibly difficult to clean out after using them. Grilling is a much more pleasant experience when you don’t have to continually light them up repeatedly or constantly refill the fuel throughout the process. The company added an automatic pellet auger that fuels the fire pot with pellets automatically when needed. They also added the auto start ignition, which sets fire to the pellets consistently whenever necessary. 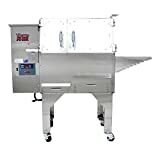 The temperature control unit directs the entire process – when more heat is needed, the automatic auger pushes more pellets into the fire pot and the auto ignition continuously lights them. Having a larger pellet hopper is a good idea, simply because it stops you from having to refill it multiple times while grilling or smoking. The Camp Chef PG24 offers a massive pellet storage space in the big hopper. Once you have loaded it up once, you will not have to do so again for at least a whole session of cooking on the grill. The design of this grill gives you extremely effective control over the temperature. You are able to set the perfect temperature no matter what you are grilling, and then walk away and let it cook on its own. Then you also have the dual LED readout for the temperature that will help you monitor the temperature accurately, no matter what. This is perfect if you want to keep the lid closed for a long period of time for smoking meat. The grill also comes with a convenient, nicely built in meat probe for you to check the temperature inside the meat. When you stick the probe into the meat, the other end of it goes into an input socket. This allows you to check the digital LED output monitor to see the temperature inside the meat to make sure it is cooked properly. Camp Chef also made this design extremely durable, making it easier to transport than some of its competitors. The product has two very durable castors with added firmness – this makes the smoker a lot more stable and less prone to breaking if it is being moved around. This grill is known for being fairly affordable, and one of the best options for a pellet grill. Brand new, the PG24 is cheaper from retailers like Amazon. Other retailers offer similar products that will cost you a lot more, even by hundreds of dollars. REC TEC has a comparable model, and it costs $1598.00 brand new on their site. A lot of Traeger’s similar models are also slightly more or much more than the Camp Chef PG24. Let’s take a look at what other customers thought of this product. We will divide the positive reviews and the negative ones in order to see all the pros and cons of owning a Camp Chef PG24. The first aspect we noticed in the customer reviews online were how pleased they were with the temperature control. A lot of the reviews specifically mentioned how wonderful it was to be able to set the temperature, place the meat in the smoker, and have the ability to walk away for several hours without worrying about how the food will turn out. Another quality that buyers really enjoyed was Camp Chef’s customer service. If there were any issues with shipping, products, or anything else, the company went out of their way to fix the problems and make the customer happy. The price was also a huge upside for reviewers. Having such a high quality product that provides the buyer with so many different features at such a low price is rare and an exciting aspect for the customer. Those who mentioned trying bigger, more well-known brands said that they spent a lot more and got a lot less than when they tried the Camp Chef PG24. Something else that customers raved about was how easy the product was to clean. 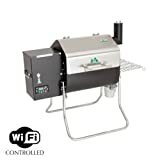 As we talked about before, this grill offers Camp Chef’s Ash Cleanout System, which makes sure all the ash and other debris is blown out after every single grilling or smoking session. Not having to bend over and scrub out the grill or use a vacuum on it is a huge plus side to this particular product. One thing that is mentioned as a plus side for this grill is how efficiently it uses pellets. Buying pellets constantly for your grill, while not as expensive as gas or charcoal, will still add up and cost you a decent amount over time. Having a grill that uses them carefully will save you money and time in the long run. Customers really liked how they had to buy pellets less frequently with this product. Lastly, users really loved the fact that the design came with its own very easy to use meat probe. This allowed them to easily, quickly, and safely take the temperature of the meat to make sure it is being cooked correctly. While the reviews were overwhelmingly positive, there are a few negative aspects customers noticed that we will list as well. The first downside that was brought up frequently was the Camp Chef warranty. A lot of designs will offer a 2 year, 3 year, or even longer warranty for their products. However, for this particular grill, it only lasts one year. Many customers complained that this simply wasn’t long enough, especially by the industry standards. It also did not allow for any issues that popped up over a longer term to be covered by the company. Another negative that was mentioned frequently was the way the grills were shipped if ordered online. Whether customers ordered them from the actual Camp Chef website or other online merchants, a decent amount of them complained that the products were handled badly and showed up damaged. Not all of them had serious issues when they showed up, but often there was enough damage to warrant a call to customer service or a complete return altogether. While a lot of the buyers did love the fact that Camp Chef provides a meat probe to safely measure the temperature of the meat, there were a few reviews that mentioned a need to return theirs after just a few months of using them. Luckily as long as it was replaced within a year it was covered under the warranty, however, it is still an inconvenience and should be kept in mind if you plan on purchasing a grill from them. There were also a few complaints of the grill shutting off randomly in the middle of a cook. 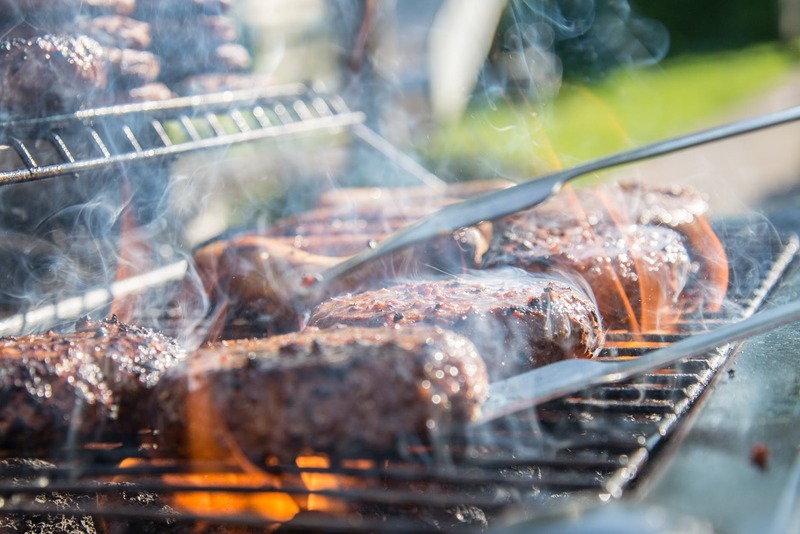 While there wasn’t an overwhelming amount of complaints that mentioned this, and may just be a fluke, it is an important aspect to remember while buying a grill. This design definitely has a lot of fantastic qualities going for it. When it comes to getting the grill clean after a cooking session, we did not see a model that could beat the Camp Chef PG 24. Having a whole system that cleans out the ash and debris for you is a huge plus side in the company’s favor. Pricing was definitely a big upside as well. 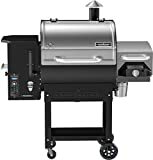 Getting so many fantastic features within the grill for such a reasonable price cannot be overstated – if you are on a budget and looking for a high-quality smoker, this is definitely one worth considering. One aspect that doesn’t hold up when compared to other models is definitely the warranty. Like we discussed before, having only a one-year warranty for a grill like this is below the standard for the grill industry and does not allow for any long-term issues that may occur with the smoker. The only other thing we would advise you look out for if you are considering purchasing one of these grills is having it shipped to your house. Because there were some complaints of parts coming in completely broken or bent, it is important to note if you are shopping online for this grill. This product and company is definitely worth your time and money. It’s affordable, a fantastic design, and has wonderful customer service to back it up if any problems arise. If you have bought a Camp Chef PG 24 before, what are your thoughts? Do you agree or disagree with the review? Wood pellet grills have been around for more than 30 years and the manufacturers are still coming up with innovative ways to improve these products. 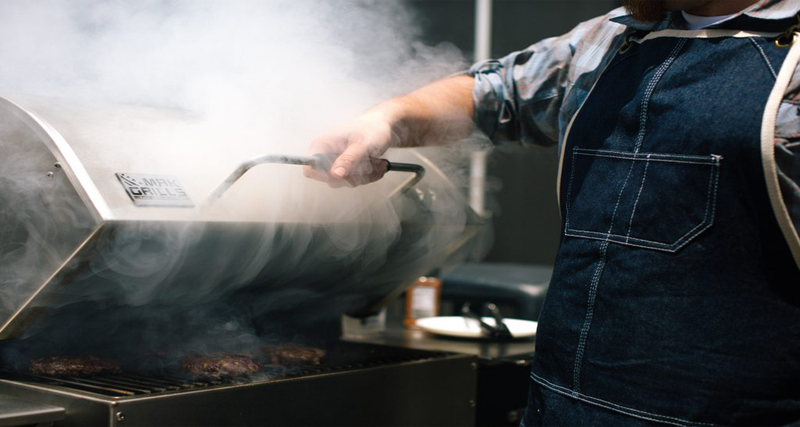 2018 was an impressive year for the pellet grill industry as customers were introduced to grills that could prepare food at more precise temperatures than ever before. Whether you like to grill, smoke, braise, or barbecue, you are sure to find the perfect cooker in our list of the Best Pellet Grill Products for 2018. What Makes a Grill the Best Pellet Grill? Which Pellet Grill is the Best Option for You? ​There are several factors that can turn a standard wood pellet grill into one of the best. Pellet grills use small pellets of wood to add a smoky flavor to the meat you are preparing. The larger the capacity for wood pellets, the less work you have to do refueling the hopper. Therefore, one great aspect of a good pellet grill is a large pellet capacity. Traeger grills are known for holding large amounts of pellets so that you can cook an entire meal without ever having to refuel. Some of their latest grills like the Traeger XL Pellet Competition Grill are capable of holding as much as 40 lbs. of pellets at a time. Other aspects that make a good pellet grill even better include temperature control, easy to use control panel, portability, and cooking space. Most pellet grills on the market allow you to precisely control the internal heat so that you end up with amazing results every time you use it. There is no more guess work where you have to blindly set the grill at either Low, Medium, or High and hope for the best. The temperature controls work very similar to those on an indoor conventional oven. When a grill is easy to use, yet it still provides you with competition-quality results, you know you have a great product. Many grillers are new to the technique of using wood pellets as a heat resource, so finding a good grill that is simple to use is a great option for backyard barbecue experts. The portability of a grill may not be an important feature for everyone. But if you love to tailgate or take your grill along with you on fishing or camping trips, you will want a lightweight grill that is easy to haul and transport from one location to another. And finally, a large cooking space allows you to prepare more food at once so that no one at your backyard barbecue or tailgate party has to wait around for their food. 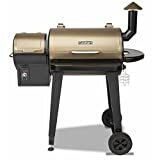 Listed below are our top 10 best pellet grill choices for 2018 based on customer reviews, features, and the overall longevity of the product. The Camp Chef WoodWind Pellet Grill take your barbecue game to a whole new level. This pellet smoker features a large cooking area that is 560 cubic meters. It has a removable rack, so you can add on larger cuts of meat if needed. The temperature range for this grill is up to 500 degrees Fahrenheit. This makes it the perfect choice for grilling, smoking, braising, or roasting. The grill is reasonably priced at around $549. It is made of high-quality professional-grade materials and features advanced digital controls as well as an automatic pellet feeder. Cleanup is easy thanks to the convenient trapdoor that you can empty out after each use. The Camp Chef WoodWind Pellet Grill will make a great addition to your backyard or patio, and it is a worthwhile investment that you and your family will enjoy for years to come. 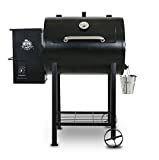 784 square inches: 10" x 18" direct cooking; 18"x18" indirect; 10"x28" top rack; warming drawer 19" x 13" x 4"
If you are looking for a high-quality pellet griller that is also a great smoker and grill, Fast Eddy’s by Cookshack is the best choice for you. This high-end cooker is a combination grill with a very large space to prepare food. It also features a small yet efficient direct grilling area that allows you to sear steaks with ease. Although this grill is on the more expensive side, priced at around $1,899, many users consider it to be a great investment for the serious griller. It features some of the highest quality construction in the industry and is definitely one to consider if you are on the fence on whether to buy a pellet grill, traditional grill, or a smoker. The CoolShack PG500 Fast Eddy’s Pellet Grill features 784 square inches of cooking space on Nickel Plated grill grates. 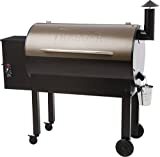 The Traeger TFB42LZBC Grill Lil’ Tex Elite 22 Wood Pellet Grill and Smoker offers plenty of premium features that you would expect from the industry-leading brand. This grill has a digital LED temperature control system so that you can accurately control the internal heat. While it has a smaller grilling area than some of the other choices on the list, there is a much larger version that offers 700 square inches of space. 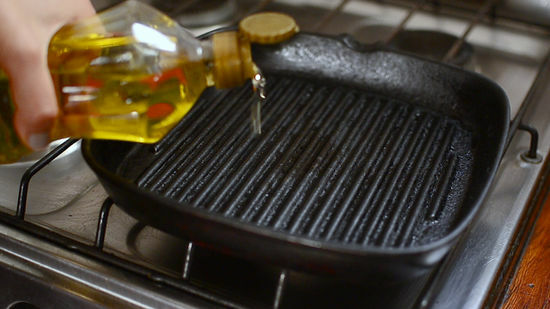 The Lil’ Tex Grill is a 6-in-1 unit that allows you to cook your food exactly how you want it. This grill allows you to experience professional level grilling all at an affordable price. It has a very impressive positive review rate and quality-wise it is difficult for any other grill in its class to come close to the design and excellent manufacturing. The Traeger Lil Tex Elite Grill is just the right size for those who want a backyard grill that is not too big or too small. Pit Boss 700FB Pellet Grill, 700 sq. in. 700 sq. in. total cooking surface. Porcelain coated cast iron grids. Whether you want to prepare a dozen flame-broiled burgers for your friends or enjoy smoked brisket for dinner, the Pit Boss 71700FB Pellet Grill is an excellent choice. This pellet grill can serve up any type of meal you have in mind. It has a large 700-square inch primary grilling area which is large enough to cook food for a big family reunion. It also includes a flame broiler that uses side plates, allowing you to grill at a direct flame. You can even use cast iron cookware with this option. There is also an additional upper cooking rack that will provide you with even more space if 700 square inches isn’t quite enough. The racks are made of quality porcelain coated cast iron material to provide you with the very best grilling experience. The Pit Boss 71700FB Pellet Grill with Flame Broiler offers hassle-free cleanup and is also low-maintenance. The Memphis Pro Wood Fire Pellet Grill is one of the very best of its kind, and also one of the most expensive retailing at $3,899. This grill features high-quality construction that is designed to last throughout many years of use. It is engineered with some of the most innovative cooking capabilities that allow you to grill practically anything. This cooker is capable of reaching temperatures as high as 650 degrees Fahrenheit. It can sear a steak while also holding the internal temperature down at a slow cooker level of 180 degrees. This product can do it all, smoke, low and slow cooking, and any type of barbecuing you can think of. Additional features include convection fans and precise temperature control. The Memphis Pro may be one of the more expensive grills on the list, but it can take on all types of intense grilling or smoking tasks. Traeger makes the list again for the best grill products of 2018 with their top-rated portable grill. This tailgater grill is one of the smaller products that Traeger has available, but it can still prepare excellent burgers, steaks, and ribs with ease. While most portable grills often have fewer features than their larger counterparts, this wood pellet grill includes some features that you would only find on higher end pellet grills that are designed to stay in one place. It features digital controls, versatile cooking features, and a large cooking area. This product is also very sturdy for its size. The Traeger Grills Tailgater 20 Portable is a great grill to take along on camping trips or to the big tailgate party. The Green Mountain Grills Davy Crockett Pellet Grill is one of the most affordable grills on the list that is also highly functional. This grill is available from most retailers at around $339. Yet it still provides you with everything you need to enjoy a great outdoor barbecue. This pellet grill has plenty of standard and modern features that make it a unique buy. It features WIFI compatibility, so you can control the settings using your smartphone device. This portable, lightweight grill will take convenience to an entire new level as you control the heat for your round of burgers while using your phone. It is a great grill to take along on fishing trips, camping, or to family get-togethers. It is also an excellent choice for tailgating. Make the most of your next backyard barbecue with the Green Mountain Grills Davy Crockett Pellet Grill. The Z GRILLS Wood Pellet Grill & Smoker is a versatile and sophisticated grill that will look great on your deck or patio. This grill may have amazing aesthetics, but it provides you with much more than a good -ooking exterior. 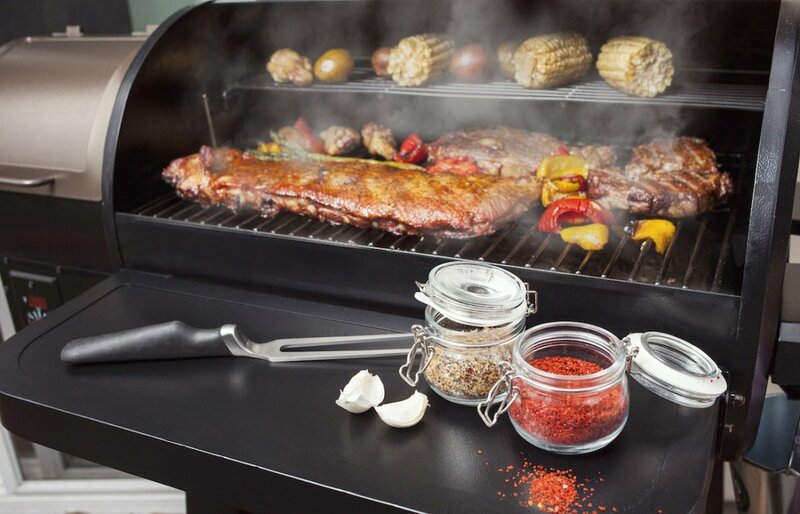 The Z GRILLS Wood Pellet Grill & Smoker features Smart Smoke Technology that adds more convenience to your smoked barbecue. With just a press of a button, you are on your way to a delicious mouthwatering meal with very little effort. This digitally controlled smoker will ignite the unit and use the technology to heat the internal temperature from 160 up to 450 degrees Fahrenheit. This smoker has 513 square inches of cooking space and a second cooking rack if more space is needed. The Z GRILLS pellet grill also has an automatic shut off feature that isn’t found on many other high-end grill models. "Digital Elite Controller with LED display maintains precise temperature, just like your oven"
The Traeger TEXAS ELITE 34 Grill is one of the best out there for preparing enough to feed an army all at once. This impressive grill features 836-square feet of grilling space so that you can grill up 10 whole chickens, 8 rib racks, and 8 pork butts, all at the same time. Along with a large food capacity, this Traeger TEXAS ELITE 34 can provide you with hours of consistent wood-fired cooking with the 42.5 lb. hopper. It also features Dual Meat Probes for easy monitoring without ever needing to open the lid. There is also a Digital Pro Controller to assist with getting the temperature precise. This pellet grill has a wood pellet hopper capacity of 40 lbs. to ensure continuous smoking without refueling. 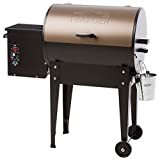 The Traeger TEXAS ELITE 34 is another high-quality Traeger grill that you can depend on for its reliability for many years to come. The Louisiana Grills Country Smokers Whole Hog grill is a large cooker that can be divided into two separate grills for your convenience. If you need an extra-large grill, his Whole Hog cooker from Louisiana Grills Country Smokers is an excellent choice. 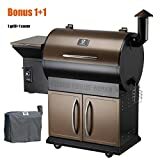 You can use one of the two independent grills to slow cook an entire hog or use the 1,200-square inch grilling space to grill up enough burgers and hot dogs for the entire neighborhood. This grill is designed for the serious grill master who needs provide food for all types of events such as little league games or county fairs. 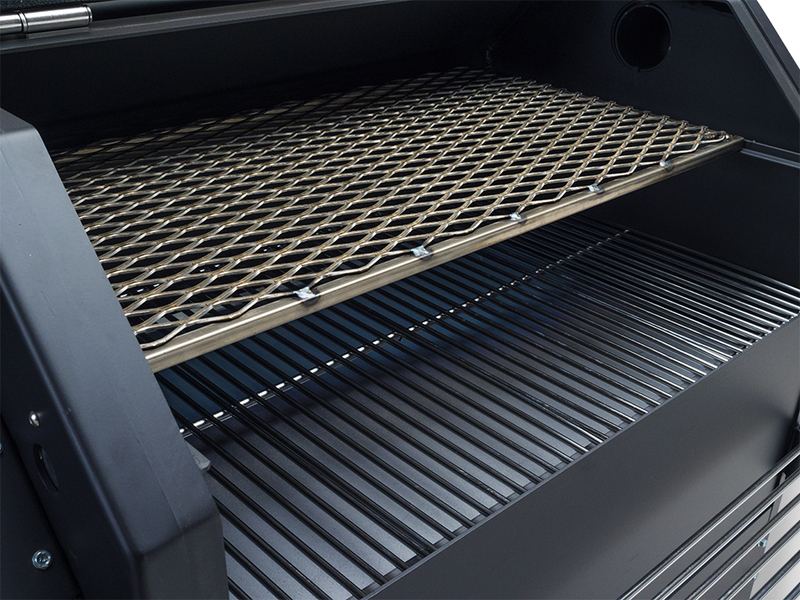 This grill features two pellet controllers that are mounted on opposing ends for easy access. We have discussed the benefits of several different types of quality grills for you to choose from. Now it is your turn to decide which is the best pellet grill for you. Do you need a lightweight and portable grill for tailgating? Or are you looking for a large stationary grill to add to your sophisticated backyard patio? 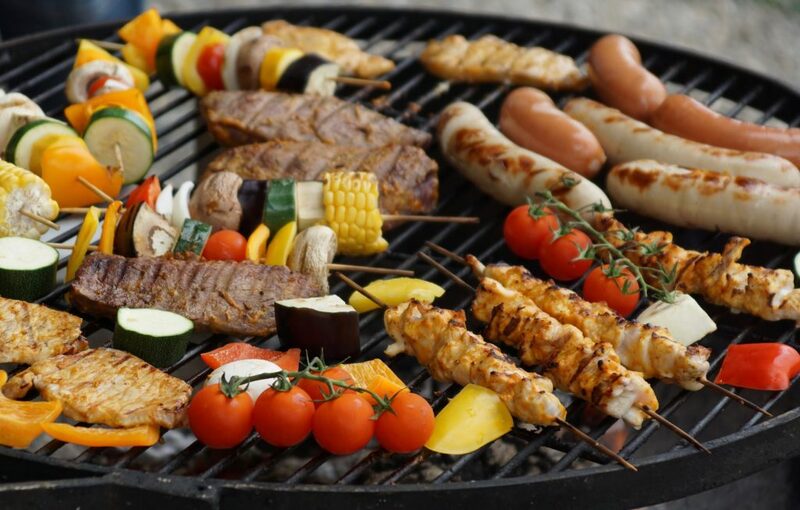 Are you grilling out for your immediate family or the entire community? Whatever your grilling needs may be, you are sure to find the right cooker in this group of the best pellet grills. It’s grilling season. And you’re tired of making the same old thing every time you crank up the flames. Something new is needed. Something delicious is demanded. And trying duck is definitely an option. With this how-to, you’ll find that smoking a duck is easy, fast, and results in one of the most delicious meals you’ve had in a while. 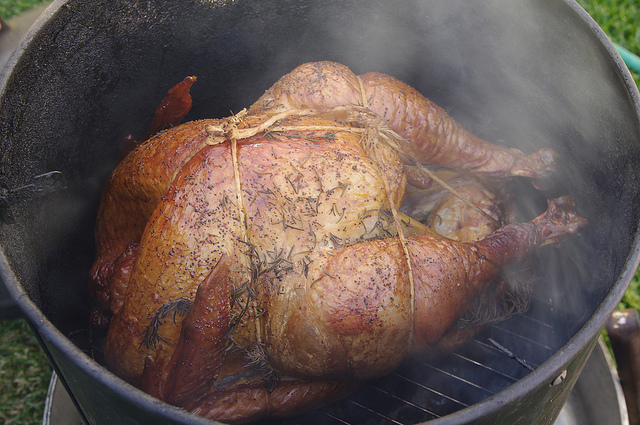 Before you get started with smoking that delicious fowl, here are a few thoughts to keep in mind. Smoking a whole duck is actually a little easier than smoking a chicken or turkey. 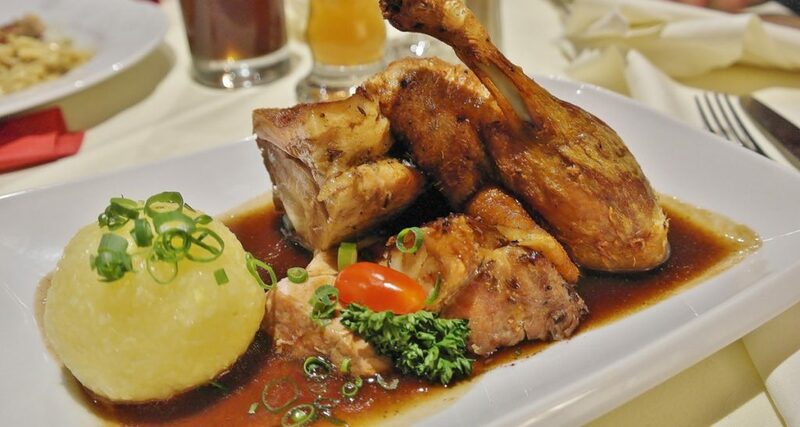 A duck is entirely dark meat, meaning that you don’t have to balance the doneness of the duck, whereas you would with other fowl. 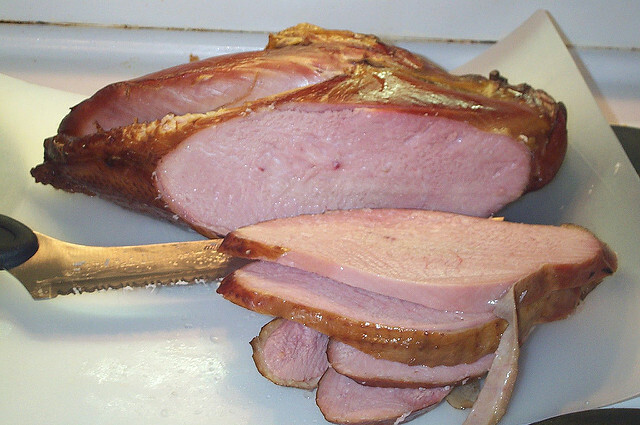 Dark meat may still look pink even when it’s fully cooked. Because of this, it’s important to take the temperature and determine readiness by this instead of appearance. Duck fat is amazing for other things, like roasted potatoes. If you prepare the pan properly, you can catch the duck fat and use it for other meal preparations after your duck is done smoking. To best prepare your duck for smoking, you’ll want to get the duck into the refrigerator about 24 hours before you start the smoking process. Leave the duck uncovered, though, as this will help to dry the skin properly, while not allowing the meat to spoil. If you don’t have an extra 24 hours, you can use a blow dryer on the duck to completely dry it before getting started. You’ll need to get together the following items before you get started. Once you’ve gathered and prepared the fresh ingredients, you’ll roll the lime around on the cutting board to help release the juices. You’ll also cut a couple of holes into the sides of the lime. Now, you’ll need to prepare the duck by removing it from the fridge. If the skin isn’t totally dry, engage a blow dryer and get the skin dry. To help release the fat in the duck, you’re going to poke some holes into the skin. Put half of the shallots, garlic, and lemongrass into the cavity of the duck. Next, put the lime in as a mid-point within the duck. Now, put the rest of the fresh ingredients into the duck cavity. Now that the duck is stuffed, you’re ready to get the pan and grill or smoker set. Fill the bottom of the pan with water, close to, but not over the wire rack. This water will help to keep the duck from drying out while you smoke the meat. It will also prevent the duck fat from burning. Once the pan is full of water, you’ll place the duck on the wire rack. Once the duck is placed into the pan, you can add salt and pepper to lightly flavor the skin. Light your chimney of charcoal or other fuel source. Prepare the grill or smoker for indirect cooking. Add in your cherry wood for that delicious sweet smoke. Get the temperature up to about 325 degree Fahrenheit. This is higher than usual smoking temperatures. Duck needs this higher temperature to render the fat properly. Then, you’ll put the duck opposite the charcoal. Position the duck in the pan as far away from the direct heat as possible. You may need to rearrange the pan altogether. Leave the duck on the smoker or grill for about one hour and 20 minutes. This will enable the duck to cook thoroughly. Once the internal temperature of the duck hits 165 degrees Fahrenheit, the duck is done and ready to eat. As your duck smokes on the grill, we’d highly recommend making one of these amazing barbecue sauce recipes to try out. They’re delicious, fairly simple, and perfect for your new favorite dinner fowl. Let the duck sit for about 20 minutes before you carve and serve. For the best smoked fowl this summer, try making duck, then slathering it with one of these amazing barbecue sauces. You won’t regret trying something new, and neither will your family. Beans of any variety are packed full of healthy benefits and can complement everything from stews, to casseroles, to rice dishes and pasta dishes. 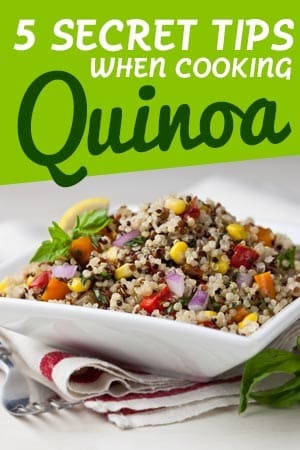 They can even make up a substantial part of a fresh salad, but many people get put off cooking them because they don’t really know how to, or when they are cooked properly. 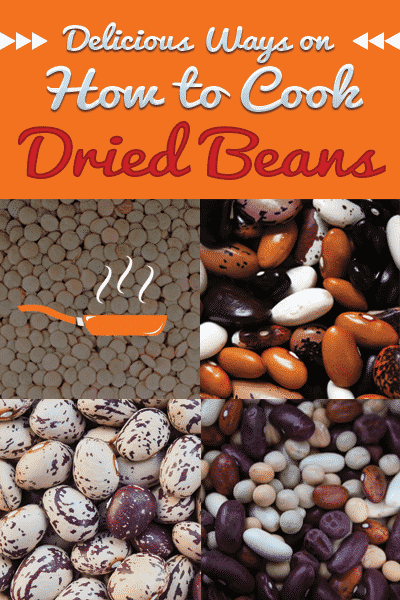 The truth to cooking beans is that they are incredibly easy to cook and just like many foods it takes a couple of tips for you to master the art of cooking them and providing a new dish to add to your growing cookery arsenal. Black beans in particular can be eaten on their own, and it’s not rocket science in cooking a creamy tender bowl of these fantastic beans. 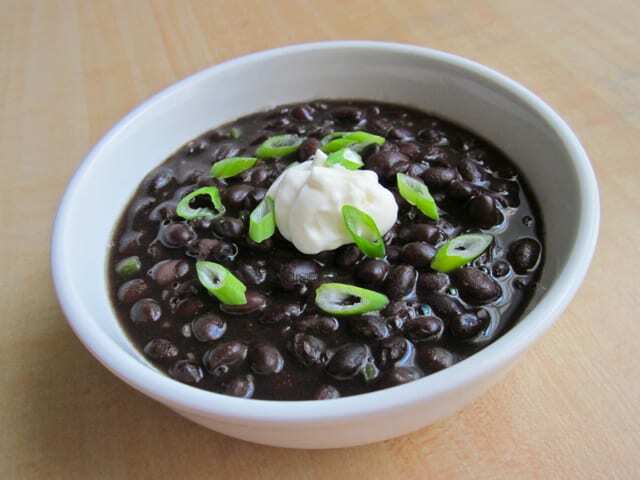 The biggest issue for many is that beans aren’t fast foods, they take hours to cook so if you are looking for quick meals then the 3 hour cooking time of black beans may put you off, but believe us when we say you have tasted nothing like the tender black beans we are going to show you how to cook today. To get the perfect tenderness all the way through its key that you soak the beans prior to cooking them, this will give you a much better chance of having a more evenly cooked and tender bean dish. Plus, it can take some time off that 3 hour cooking time. Right, so now we are ready to begin the cooking process so the first thing we need to do is get our equipment and ingredients together. Luckily there isn’t a lot to think about here, you just need a pound of dried black beans, some salt, a bay leaf, a couple of cloves of garlic, a chopped carrot, half a white onion, and some water to fill your saucepan. Most of those ingredients above are simply to add to the aromatics of the liquid that surrounds the beans when it starts to evolve into a creamy dish. After you have soaked your beans (usually overnight) you will want to drain them, and its at this point where if you have the time you can pick out any odd looking beans, dried beans or other impurities that you don’t want to make it across to the saucepan for cooking. Add your water to the saucepan and then shuck in all your aromatic ingredients that we mentioned above as these will help infuse the beans with delicate and captivating tastes when you come to eating them later on. All you need is a little bit of water as well so don’t go filling the entire pan, you want to cover the beans by about an inch and then set the temperature to a medium-high heat and then let them get to a boiling state. Once you have hit boiling point reduce the heat down to a low temperature so that the beans are just simmering away. If you are looking to add the beans to soups or creamy dishes then adding a lid at this point will improve the tenderness of the black beans. If you leave the lid off the beans will be more crunchy and less tender, so you should only leave the lid off if you are looking to add the beans to salads or pasta dishes. Leave the beans on a simmer for about an hour and then come back to just check them at that point. You want to make sure that the beans are still submerged in water so you may be required to add some more water at this point. Cover up the beans and then leave them for another hour or so. Just before the end of the cooking process add a pinch or two of salt to add to the taste, as the black beans should now be tender. Once cooked you should have a nice creamy black bean soup dish now with all those aromatics, but the best thing with black beans is that you can keep them refrigerated for 7 days, or frozen for up to 3 months so its always an idea to cook a good batch of them up if you are going to be spending hours cooking them, that way you add them to individual containers and add them to different dishes throughout the months before the need to cook any more. Even if you aren’t fussed about the liquid, you should still keep it as it makes a great staple for sauces and soups, and because you have all that flavour and goodness packed into it, it really can add to other dishes you may cook so just pop it into a container and keep it stored in the fridge. Beef really is the ultimate comfort food, whether it’s a perfectly slow cooked beef brisket or a set of beef ribs coated in your ideal marinade. In today’s guide we are bringing you one of the best comfort foods and showing you exactly how to cook them to perfection. Firstly, let’s not get ahead of ourselves because cooking beef ribs isn’t easy if you don’t know what you are doing, it does take time, patience and knowing what seasonings and cooking methods work the best to bring out those beautiful and textures that we have all come to love about this meat. The very first port-of-call for you is to head to a local butcher because this is where you are not only going to save money on your ribs but you are going to get the finest cuts of beef ribs. They will be fresh, meaty and give you the perfect head start to creating an amazing dish for yourself, your loved one or dinner guests that you may have over for the evening. 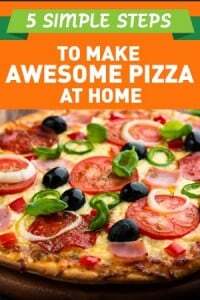 We always stress at home important preparing the meat is and we aren’t going to avoid it in this guide because this step of the process is a fundamental part of getting that end result spot on. With beef ribs you will notice that there is quite a thick membrane that runs along the back, this needs to be removed as it can spil the taste and experience of beef ribs because the membrane once cooked becomes very chewy and tough. Not pleasant at all. Luckily o remove it, it’s simple. Just use your fingers to work the membrane loose, or take a knife and just slowly prize it away from the rest of the meat. If you are heading to a butcher to buy your meat then you can also ask the butcher to remove it for you before you come away. When it comes to your seasoning or marinade we all have our own preferences and specific tastes. With beef ribs you can use almost anything on top of it, and whilst most of us always head straight to barbecue sauce marinades some other seasonings and rubs are proving to become more popular in cooking this meat. 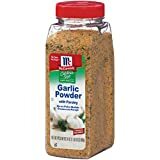 Chilli powder, black pepper, salt, cayenne pepper, smoked paprika, garlic powder and dried thyme is just one rub mix that gives your ribs a nice kick, and probably the biggest advantage is that you can eat them without getting yourself into a complete mess…which can’t be said for barbecue sauce marinades. For the best results you should always oven cook your beef ribs as this will help the meat become tender, to the extent it just falls off the bone into your mouth with little effort. Also the moisture, tastes and juices will be noticeable with an oven cooked rack of ribs, so for the purpose of this we are going to be using the oven. If you have chosen to barbecue marinade your ribs, that process is fairly simple and once you have coated your beef ribs with the sauce you will need to wrap the ribs up in some kitchen foil. We recommend using a good couple of sheets of foil so you lock in all the juices and steam which will add to the textures and tastes once cooked. Place the ribs into a preheated oven, in a baking tin, with the meat facing down. You want the temperature to be around the 225C mark and it will take around 3 hours for a standard size rack of ribs to cook through thoroughly. 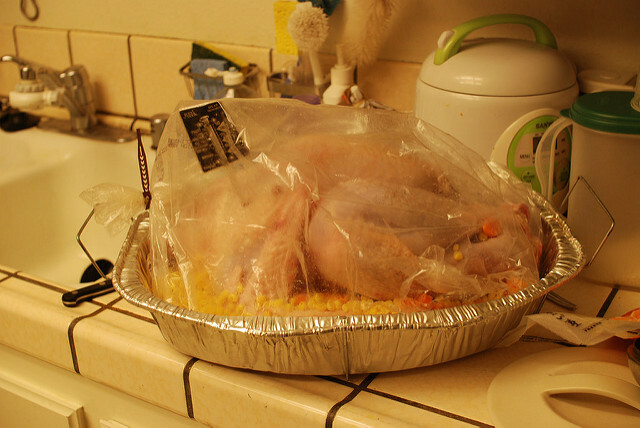 Avoid checking the meat or opening the oven door as you want the heat to remain consistent and you don’t want to expel any juices or steam by unnecessarily opening the foil up. 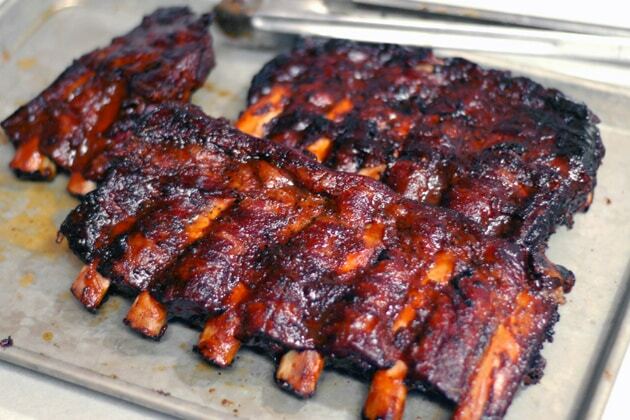 Once the cooking time has come to an end take the ribs out, uncover them and leave them for a period of between abut 10-20 minutes so that the juices redistribute throughout the ribs, helping it become tender and moist to the bite. Beef ribs can go with many other foods to make a great dish, so think about potatoes and vegetables as one choice, or perhaps you would like to make a gorgeous potato salad or fresh green salad to accompany the beef ribs for summer time treat. For the Winter periods adding some basmati rice with a squeeze of lemon juice over the top can really make for a hearty dinner time meal, or you could just cut the ribs up and then eat them on their own. The choice is yours, but do experiment with what foods go with the beef ribs to make the most out of them. If you have no idea what Ahi Tuna is then you may have also heard this type of Tuna steak known as Yellowfin Tuna. There is without no doubt that this type of fish boasts one of the most delicious tastes, and if you are a fan of chunky, steak-like, hearty and wholesome fish then this protein booster is going to be your go-to choice of food. Like most fish, it’s a brain food and poses many health benefits to your heart, circulation and general complexion. It really is a meaty fish that when cooked properly can be on the most amazing taste sensations you will have ever experienced. The best thing though; you don’t need to be a Michelin starred chef in order to pull this one off as its one of the easiest foods you are ever likely to cook. Even this dish makes beans on toast look complicated! 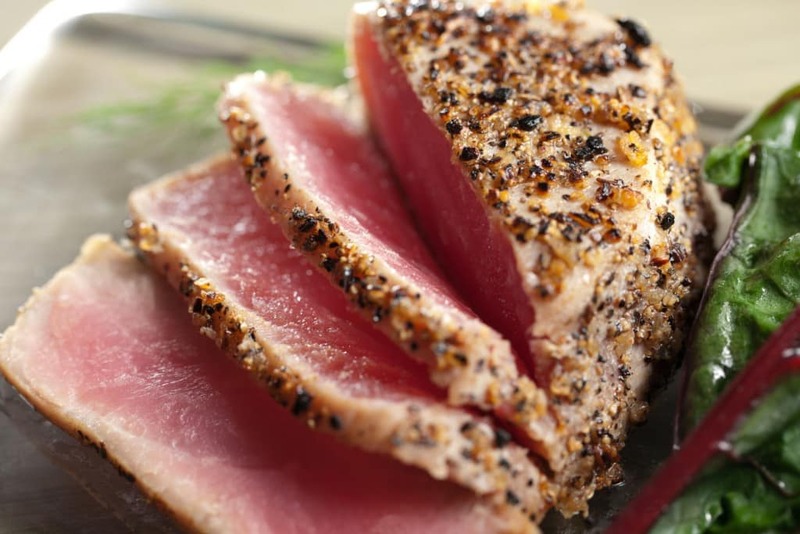 All you need in terms of ingredients for your Yellowfin or Ahi Tuna is some seasonings or a marinade (which we will come to soon), some peanut oil or vegetable oil, and the actual tuna steaks themselves. Preparing the steaks should be the part where you take the longest amount of time on, this should be the section of the preparation process that really brings together the tastes at the end result so time and effort is key and essential at this point. Firstly, have you got fresh or frozen tuna steaks at hand? If frozen then you are best thawing it out thoroughly before you begin cooking to get the maximum results. To do this you want to leave it in the fridge until it thaws. If it’s fresh then we can crack on with the seasoning and marinade. One of the most complimenting mixtures that you can add to an Ahi tuna steak is a spice mixture, because it’s often these spicy flavours that really complement the meaty flavours of the steak. 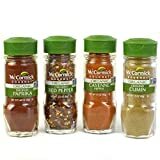 Creating a mix is quite easy as well; all you need it half a teaspoon of salt, a quarter teaspoon of black pepper, red pepper flakes, garlic powder, dried basil, and dried oregano. Mix those all together with a fork or whisk and then coat your steak all over. Now, just leave the tuna for a few minutes to absorb those flavours before we introduce them to the heat. You can also swap the spices with a more citrus rich marinade such as a Tuna Tartare which consists of cilantro, jalapeno, ginger, wasabi and lemon juice. Usually this kind of mix is best suited to oven baking methods because of the consistency of the marinade. The next steps in the process of creating a perfect Ahi tuna is to make sure that the pan you are using is heated up to it’s fullest before you place the tuna in. You want the fish to cook evenly across the pan so this is an essential requirement. Generally Ahi Tuna is served rare because the texture and taste is much better than a cooked piece of Ahi Tuna which struggles to keep in moisture. However, some people do enjoy the tuna seared, so if this is you then you can add the tuna steaks to the pan for a couple of minutes on each side to just give it that golden look on the outside. If rare isn’t your thing there is nothing wrong with fully cooking the tuna steaks, and all you need to do is keep the tuna on the heat longer until you are satisfied with the texture and consistency. The wonderful thing about tuna is how you can serve it, and whether it’s rare or fully cooked you can bring together many colours and appealing sights onto a plate quite easily. If you have chosen to rub spices onto your tuna then you can cut the steak up into portions and present them in a domino effect on a plate, or you can cut them into cubes if you added no marinade, and then simply season them at the very end. Or, if you have used a tartare sauce like we mentioned earlier on in this guide you can simply leave the steaks as a whole piece and then serve them up with a slice of lemon and some fluffy basmati rice. Either way, tuna steaks can really develop your creative skills in the kitchen and have you thinking outside the box on experimental presentations. One thing we can safely put our money on is that your guests will love this Ahi tuna whether its rare, seared, fully cooked, part of a starter or as a full blown main meal. So what are you waiting for? Get some fresh Ahi Tuna and wow your guests! 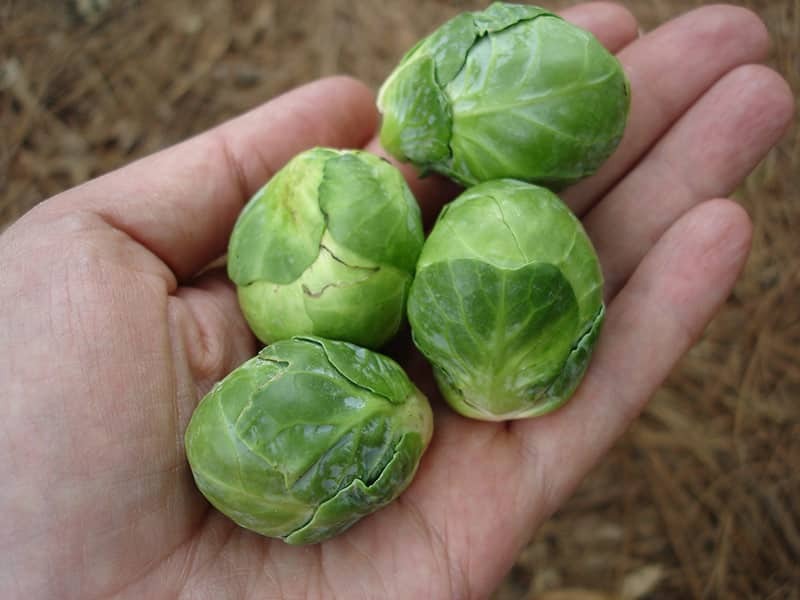 Are Brussel Sprouts Just For Christmas Time? It seems that the only time of the year that we eat brussel sprouts is during the festive holidays, and these small cabbage like vegetables are certainly an acquired taste much like marmite is. You either love sprouts or you don’t. Perhaps the biggest off-putting part of a sprout is the fact that when they are just boiled they become quite bitter, and if you overcook them, well, then you really do have an unpleasant tasting vegetable on your hands. The truth is, brussel sprouts are a Christmas tradition in many parts of the world and supermarkets noticeably see a steep incline in the sales of fresh and frozen sprouts in the lead up to Christmas. However, these vegetables are very good food you, and they contain plenty of nutrients that can help you keep a healthy mind and body. Whether it’s the antioxidants, the plethora of vitamin C and K or the detox qualities it has, they really are an all-year round vegetable. Sprouts can be cooked using many different methods of cooking but perhaps the main way is to boil them, usually because you are boiling other vegetables at the same time. The important part is not to overcook them as the taste qualities and textures tend to start becoming unpleasant. Strong bitter tastes and mushy textures aren’t something you really want to serve to your guests whether it’s Christmas time or Easter time. To boil your sprouts you need only a few ingredients and they are your sprouts, some salt, some pepper and some butter for serving. Firstly you need to bring a pot of water to boil and then add a pinch of salt. You want to get the water boiling before you add the sprouts for the best texture and taste as the end result. Before introducing the sprouts you want to make sure you prepare them by washing them under some cold water, all this does is removes any impurities, and you may also want to remove any off-colour leaves (usually yellow ones). Once you have completed this step you can now add the sprouts to that boiling pan and then cook them for around 10-15 minutes, checking them in that last 5 minute period to make sure you don’t overcook or undercook them. Drain them, pepper them up and then add a knob of butter on to the top of them ready for serving to your dinner guests. Method 2: Sautee Your Sprouts! Not many people have tried this method but if you aren’t too keen on the flavour of a boiled sprout then you may want to look at the sauté option which tends to offer more in terms of tastes and textures. With each sprout you want to cook it’s always best when sautéing is to cut them into halves. It can be time consuming if you have a lot of sprouts to get through but trust us; you are going to get much better results in the long-term. The preparation steps are the same as the boiling method, so rinse them under cool running water and remove any dead leaves from the sprouts, but this time instead of preparing a saucepan with hot water and salt you will instead want to get a frying pan ready with a few tablespoons of olive oil. Put the heat up to a medium-high temperature and once the oil has heated up you can begin to individually introduce each sprout to the pan (making sure you lay each sprout down, flat-side on the base of the pan). As they begin to cook sprinkle some pepper and salt over the top of them to season them and leave the cook for around 5 minutes until you flip them over onto their backs. You should see visible signs that they are cooking, and a golden brown colour should become apparent. The final step, and trick to the sauté process is to pour in about a third of a cup of water, this cup will cover the bottom of the pan and boil them slightly until the water has evaporated. This is an important step that you shouldn’t forget and usually it takes about 5 minutes for the water to evaporate and for the sprouts to be fully cooked. So that’s a total of 5 minutes on each side, and then 5 minutes after the addition of the water. To serve up the sprouts you can use a knob of butter on top of them to melt down into the vegetables, or you could even try squeezing some lemon juice across them for an alternative but complimenting flavour that will tickle your taste buds. Either way, this proves sprouts aren’t just for Christmas. As we approach the festive holidays our minds are firmly fixed upon cooking arrangements, and if you are the one in the household that has been left in charge of such a task then the pressure is almost certainly on you. Not down to the fact that you have guests coming from all locations across the country, or even the world in some instances, but the whole of Christmas Day dinner lies firmly in your hands. A well cooked beef brisket can literally be one of the most amazing things you will ever taste in your life, if cooked correctly. One of the main things that separates a n excellent brisket from a poor one if how you go about cooking it, what you add to it in terms of seasoning and how much time you take preparing it. Food like this should never be rushes, and that is exactly why cooking it in a slow cooker far outweighs the method of oven cooking. So if you haven’t got a slow cooker then we suggest that you go out and buy one as they are very cheap but they offer more cooking opportunities to you, from casseroles, stews and beautifully slow cooked curry mixes. Firstly, before we even begin getting to work on the piece of beef we need to look closer at the ingredients we are going to be using. As these are all going to be introduced into the slow cooker you will get an idea of the wonderful tastes, flavours and smells that this dish is going to produce and the one thing we can tell you is that anyone in a sniff away is going to be eager to taste this comfort food. Grab yourself some olive oil, a couple of red and yellow onions, some salt and pepper, 2 cups of beef broth, a couple of tablespoons of Worcestershire sauce, a tablespoon of soy sauce, and finally 6 cloves of garlic which we will crush into the mix. 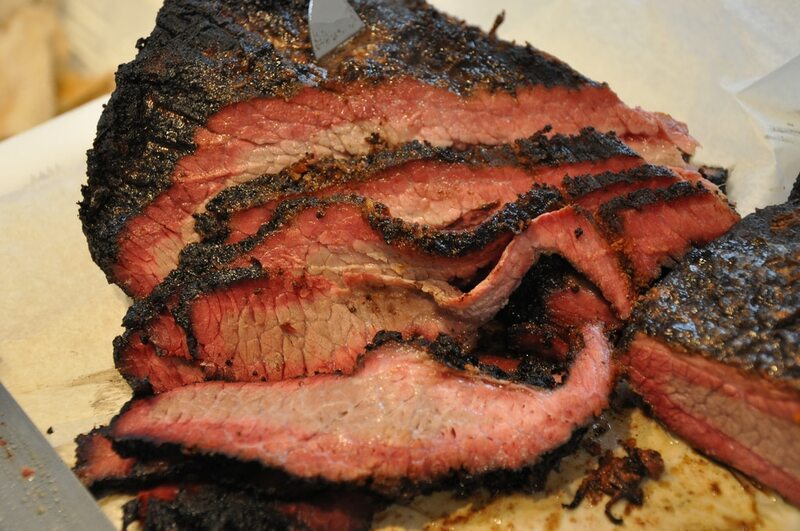 In terms of the beef brisket you ideally want something that weighs about 3 to 3.5lbs, and as beef is one of the more inexpensive meats this shouldn’t break the bank. The key to most successful dishes is in the preparation work you put in, and to begin the cooking process off you will want to begin cooking some of your ingredients outside of the slow cooker. First we want to fry up the onions with some olive oil until they have caramelised, and while these cook away slowly on a medium-low heat you will want to begin patting the beef brisket dry to get rid of any excess moisture that is visible on the outside. Once you are happy we can now season the brisket with some salt and pepper, rubbing it into the meat all over the outside. By now you can remove the onions from the heat and take the brisket to a large skillet to sear it. All we are doing here is making the crust or fatty parts of the meat golden brown in appearance and slightly crunchy. You only need to keep the brisket in the pan for a few minutes and then we can put it into the slow cooker with that fatty side facing upwards. The fun part to this dish is adding all these wonderful additional ingredients to the slow cooker, so at the moment you should just have that seared brisket in the cooker. Now add some crushed garlic to the top of the brisket and then throw in the onions that we cooked while preparing the beef brisket. Next, mix those 2 cup fulls of beef broth with the 2 tablespoons of Worcestershire sauce and 1 tablespoon of soy sauce. Pour this mixture onto and around the beef brisket. Put the dial down to a LOW temperature setting on the slow cooker and let that beef brisket slowly cook for around 7 hours until the meat becomes very tender, succulent and mouth-watering. Remember once you have cooked it, it’s always advisable to leave it to rest for a good 15 minutes so that the juices can redistribute themselves around the meat which just makes the brisket more tender than it already is and moist to the bite. When you come to serving up the brisket it should literally shred at the cut because of how tender the meat is, but you can also slice it as well this is your choice. Pour over the liquid mixture and onions and then let your dinner guests tuck in. Basmati rice, or any rice for that matter should be served tender, and each rice grain should be separate from the other rice grains. If your rice comes out in clumps, mushy, or still hard to the bite then you are doing it completely wrong. Don’t despair though as we are going to talk you through the ways that you should be cooking basmati rice, and believe us, it may sound easy cooking rice but it can take its toll on even the most experienced chefs in our world. Generally, rice shouldn’t take more than 20 minutes to cook and by using the right measure of rice to water ratio, along with the right heat you can have the perfect bowl of rice as a result of it. What is The Perfect Bowl of Rice? As we mentioned above you shouldn’t be serving up a bowl of rice that is in clumps, mushed up or soggy looking. The perfect bowl of basmati rice, put simply, should be soft and fluffy with each grain being noticeably separate from each other grain. Unfortunately for most people achieving this end result can be much harder than initially expected. One of the biggest pieces of advice I love to give to cooks, that to be honest with you is overlooked regularly is that before you even start cooking the rice you should prepare it. Preparing rice? What do you mean? All you need to do is grab a strainer or sieve, put the rice you wish to cook into it and then run that under some cold water for a few minutes to rinse the rice out. This is quite an important step in the process because what you actually are doing is removing a lot of starch that covers the rice. Starch is what makes your rice looking gloopy and all stuck together at the end so by just adding this two minute preoperational task to the beginning of the cooking process can really make a huge difference at the end. 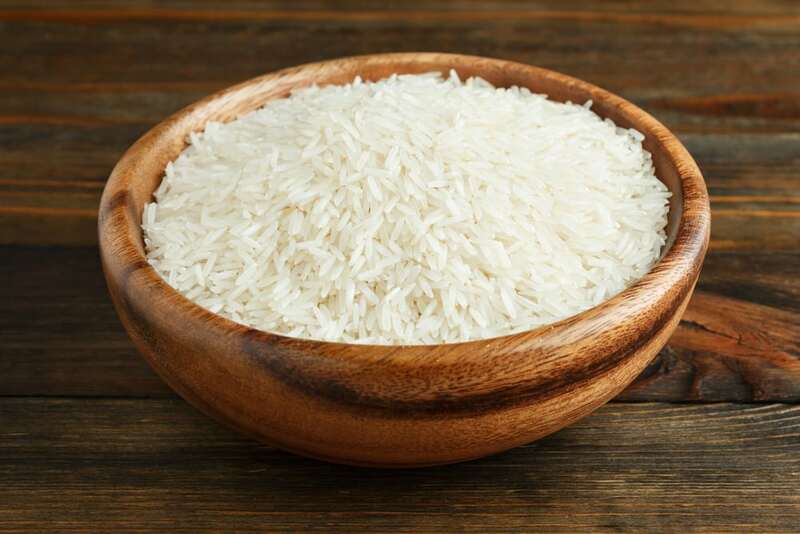 The next step is to put the rice into a decent sized saucepan, but don’t add any water to the mix just yet because there is one more tip we can offer you that can help your rice become much more fluffy and light once cooked. Just take a pinch of salt and put it over the rice and then shake the rice about so the salt absorbs into the grains. Don’t do this when cooking or at the end as it can make your rice very overpowering salty and uneatable. Once you have added the salt the next step is important because many people add cold water and then cook the rice to a boil. Instead of cold water you should add boiling water to the rice, and as a rule of thumb it’s one cup or mug full of rice to every two cup or mug fulls of boiling water. If you cook this on a medium heat the water will evaporate away and you will be left with the perfect fluffy basmati rice left in the saucepan. Some people don’t over the saucepan for the period where the rice is cooking but a tight fitting lid, or simply some kitchen foil that is sealed over the top can help keep the steam produced by the heat, in the pan. Again, what this does is it allows the steam to cook the rice which as we all know is a constantly increasing form of cooking in most parts of the world. This steaming method will take slightly longer but you are guaranteed fluffy and separated grains of rice as an end result. Once cooked you just need to drain the excess water from the rice pan and then take a fork, run it through the rice and see how it is looking. By now, you have probably just pulled off a great bowl of rice and this type of rice can go with many types of meals. Basmati is the ideal component to curries, so you can serve up the bowl with a fresh sprig of coriander on top or you can use the rice bowl to accompany other cultural dishes from jerk chicken, peas and mushrooms, to more traditional menu items. Cooking rice to perfection isn’t as hard as it first seems, it’s just knowing the tips and tricks that you need to do in order to help increase your success rate when cooking it. So if you haven’t already done so, we are sure you are eager to head into the kitchen and get to work on cooking some basmati rice so don’t let us keep you from it. Have You Ever Though About Cooking Bacon in The Oven? When it comes to cooking bacon there is only usually one way, and that’s frying it up next to some mushrooms and sausages, perhaps next to some Sunnyside up eggs. This is usually one of the best starts to a day for most people or the ideal hangover cure for many more. Aside from frying bacon people also tend to grill it, however you will more than likely find that grilling anything that contains a substantial amount of fat will lead to a problematic clear up job come the end of the cooking period. Frying and grilling bacon has been spoken about and written about many times in the past so we aren’t here to cover old ground, instead we wanted to take you down a new avenue of how to cook bacon, and that method is oven cooking. We know, you most likely have never attempted this in your life before but trust us when we say that oven cooking bacon really does bring out some amazing flavours and smells, and when it comes to taste its unparalleled. Smoked or Unsmoked, That is The Question! The age old debate crops its head to start with and this really comes down to your own personal preference, are you more of a smoked bacon fan or unsmoked bacon fan? 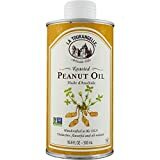 This really has no effect on how you go about oven cooking bacon but it’s a decision that is important especially if you are having dinner guests over. You see, many people may not like the smoked flavours and all your hard work could go down the pan if you choose to be ignorant towards your guests, so our advice is to simply put the question out there before you even start oven cooking any bacon because you can just cook both types on different racks in the oven and then everyone is happy. Firstly we want to start the whole process off by turning up the oven so we can preheat it nicely, usually its best to whack up the dial to its fullest and then bring it down to a lower temperature when we finally come to introducing the bacon. Now, bacon has many wonderful flavours that emanate from the meat so you don’t need to season it with salt or pepper, it’s one of those cuts of meat that seasons itself if you like. What you do need to prepare for is a lot of fat to drop away. Therefore there are two ways to do this, you can either cook your bacon on a wire rack and let the fat deposit underneath or you can use a baking tray to let the bacon cook in its own fat to add to the flavour. For the purpose of this article we are going to use a baking tray. So take a baking tray and line the bacon across it (you don’t need oil as the amount of fat from the bacon will keep it from sticking to the tray). You can either place the bacon straight onto the tray or you can use some foil to make a bed for the bacon to rest on the choice is totally up to you. Once you have the bacon ready lower the temperature of the oven to 200C and then introduce the baking tray to the oven and cook for 20-30 minutes. By 20 minutes you will want to double check the bacon as we know that some people like theirs well done whilst some like it quite chewy. When you are happy with the bacon you can remove it from the oven and then leave it to rest. It’s important to let meats rest because it helps the juices get absorbed and redistributed around the meat, it’s also wise to give the meat 5-10 minutes if you want to cut or dice it up. Oven cooked bacon won’t have the exact same texture as you would expect from bacon that has been fried or grilled because those methods are quick cook methods where the bacon comes up against direct heat sources. Instead you will have a much more versatile, tender and moreish tasting bacon that you can add to anything from full English breakfasts, through to mouth-watering pastas and crisp summer salad. We don’t need to tell you about the kinds of dishes bacon can be added to as it really does compliment the majority of dishes and food types out there, whether its soups, roast dinners or anything else you can put your creative minds to.